The Egyptian Prime Minister,Dr. 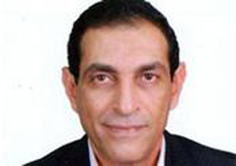 Essam Sharaf, appointed Mr. Mohamed Abd El Fatah as the Secretary general of the Supreme Council of Antiquities. Abd El Fatah was the head of the Egyptian Antiquities department and he was the head of the museums department for few years and director of Upper Egypt Antiquities.